Italian striker Mario Balotelli has been a bit of a journeyman throughout his career, showing flashes of the potential that made him one of the best young talents in Europe at one point. Part of a Champions League winning side with Inter Milan and a successful Euro 2012 campaign, the likes of Manchester City, AC Milan, and Liverpool all signed him, hoping for the eventual breakout season. Unfortunately, his tenure with the Reds was a disaster, two years effectively wasted as the goals completely dried up. However, for the 2016-17 season, Ligue 1 side Nice signed him on a free and he has returned to form, leading the unfancied side to a title challenge and Champions League qualificiation. Balotelli has scored 17 goals in 27 games for Nice, showing the strong goalscoring from that was expected from him when he signed at Liverpool. As a result, unlike last season, many teams have started to show heavy interest in signing Balotelli after his contract expires in the summer. According to TalkSport, Spanish side Las Palmas are in advanced talks to sign Balotelli on a one-year contract, with an option for a second depending on performance. 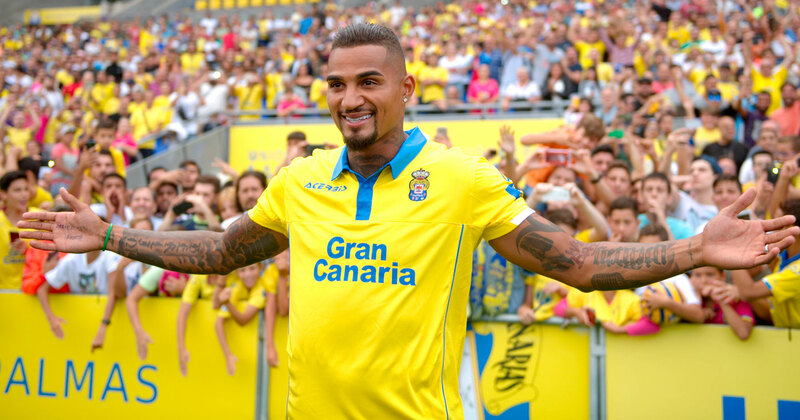 The Canary Islands outfit features a couple of well-known players including former AC Milan midfielder Kevin-Prince Boateng and former Real Madrid winger Jese Rodriguez. Las Palmas have had a solid season in the lower half of the table, currently 14th in the league, but recording some impressive results including a pair of draws against Real Madrid and a season sweep of Valencia. One thing the club does lack is a proven goalscorer, with Boateng’s 10 the highest total and Jese continuing to show the poor form he exhibited when at Paris-Saint Germain.